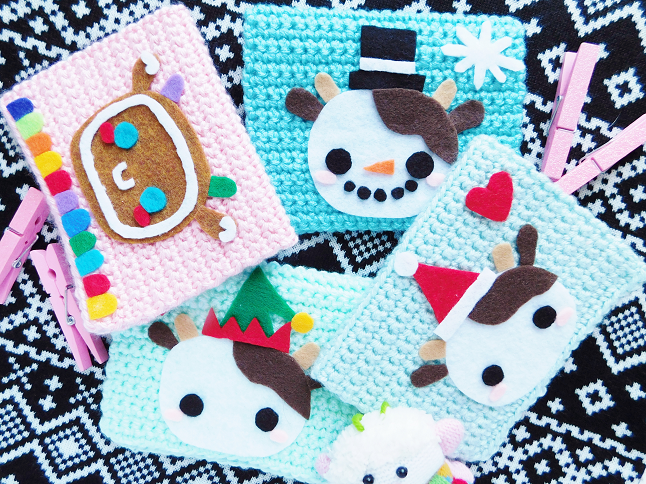 On the third day of 12 Days of DIY, I made for you crocheted for you, Christmas cards! 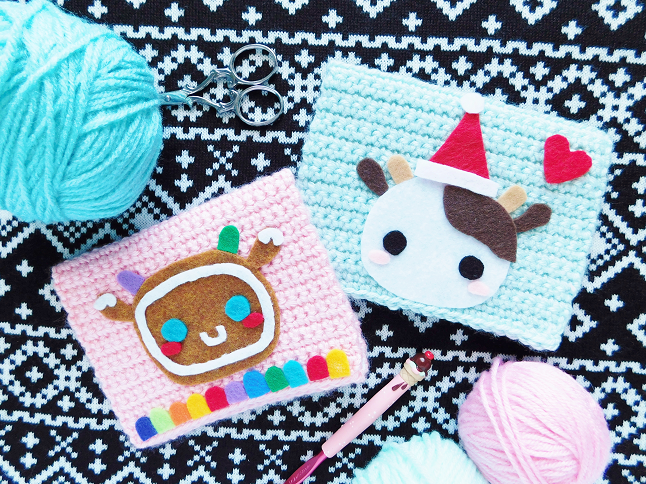 I have been sitting with this idea for months but decided to save it for DIY December because then I could crochet Christmas cards. 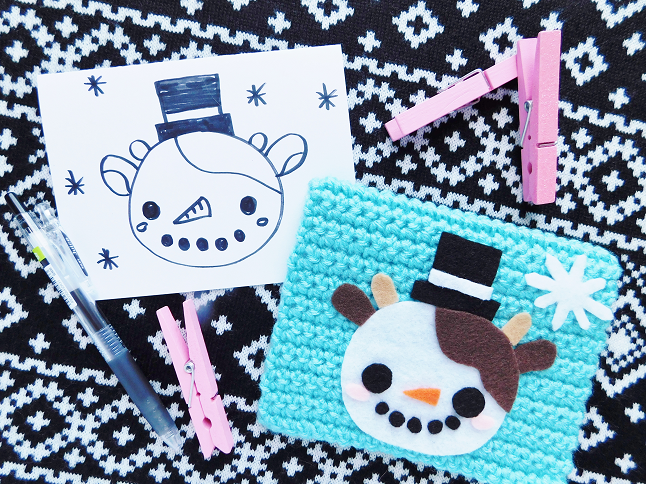 This is a really cute way for you to make Christmas cards and you can personalize them however you want. The pattern is really simple you can probably whip up a few cards in an hour. Using tape runner "glue" two cards together to make the card stiff and fold in half. 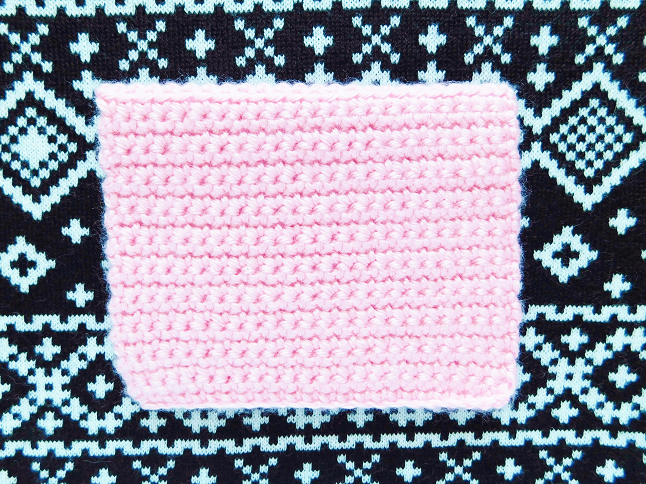 Attach the card to the crochet piece with the no-sew glue. You can sew the card with a sewing needle and thread if you want but I was feeling lazy so I just glued the card. Now comes the fun part, decorating! It helps if you draw out your design before you start snipping away at your felt because you know what shapes you need to cut out. 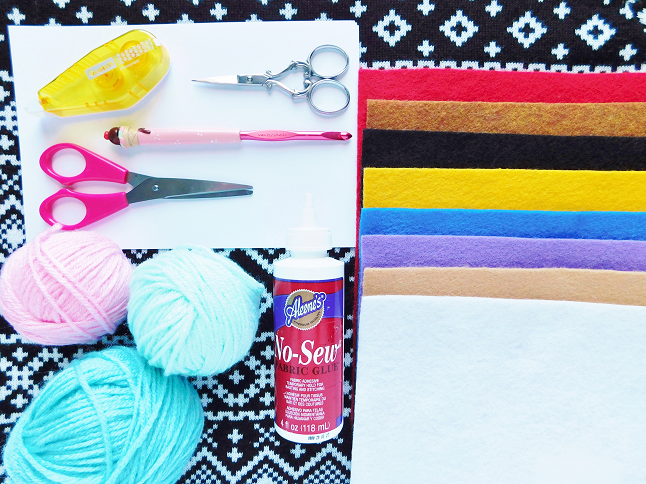 Glue all your felt pieces together and press lightly to secure. Here are some of the designs I made. I was really happy with how they came out I was only going to make two cards but I got obsessed and made two more. 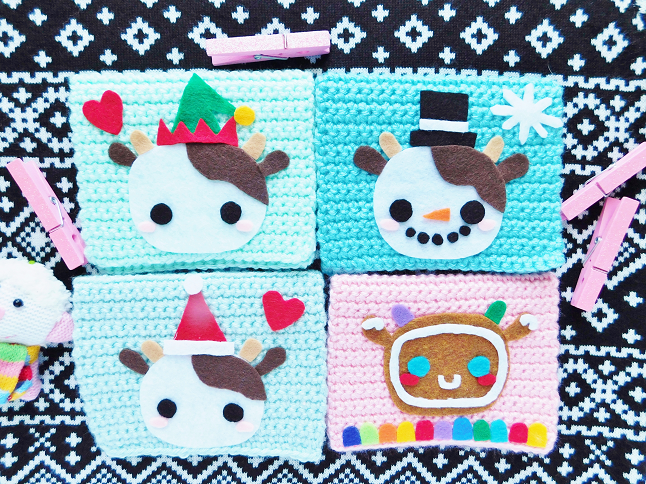 If I had to choose just one I would pick the snow-Mooey card!